I am saddened and shocked at the fire that destroyed property and goods worth millions of kwacha at City Market last week. That place is special to GBM and me for two reasons. One and most importantly, our economic plan has its foundation on small and medium scale enterprises (SMEs). The SMEs model is known worldwide as the most successful model for three reasons; first, their contribution to GDP; secondly to taxes for Government revenue collection and thirdly employment. We can give you a whole chapter on this but for now we should stop here as we commiserate with our colleagues who lost property and goods worth millions of kwacha. Secondly and of less importance is that we started our businesses there. GBM and my sister Chama were selling kapenta and dry fish while I was supplying meat in small butcheries there. That community is what made GBM and HH what they are today. We therefore must all do something to have that market back up again as soon as possible. To my fellow businessmen that have lost their goods, I can only hope that the PF government will prepare a recovery package for you, because that is exactly what we would have done, had we been in power. It is too huge an economic investment to lose through an inferno. This brings us to the second point. The declaration of a state of emergency is not the way to respond to these fires. We have basic underlying issues like lack of tight security around our public infrastructure that could easily be attributed directly to the outbreak of these fires. Where is the Zambia Police to guard public utilities like City Market? Look at the human resources that are being provided to guard Hakainde yet we cannot guard a public utility like City market which is more important than one individual. Hakainde. If we had a well-funded and resourced police it would serve two things. First they will be motivated and secondly they will have the equipment and means to actually investigate all these fires to establish from where they are coming. Where the police fails, bring in National Service, if that fails bring in Zambia Army until the situation is brought under control if the situation is really a case of arson as we are being told. Why can’t we invest money in the City Council Fire Department so that they can respond to fires on time and actually can put out fires. Declaring state of emergencies will not equip the police, it will not buy fire tenders, it will actually slow down the economy from where the Government is supposed to collect taxes to finance the police and the city council. We need leadership in this country, we need a leadership that has depth and possess a multidimensional approach to problem solving. In our current scenario, all problems have one solution. Political. Colleagues there are no prizes for guessing how this this declaration will be implemented, we all know what is motivating this declaration; its politics. We will come back to this subject after the measures have been announced and arrests targeted at the opposition have started. Which brings us to the third issue, dialogue; we have been informed that there are sections of society that have been calling for a dialogue to diffuse the tension that risks to engulf this country. It is strange that everyone seems to converge on the issue of tension and dialogue except for the PF which is coming with conditions. Without even knowing the agenda the PF is giving conditions. We have never refused to be part of any dialogue that is anchored on national interest. This is the reason the UPND, despite being criticized, we participated in the national indaba that was called by President Mwanawasa. We participated in the NCC because we believed it was for nation building though later our friends in the MMD then changed their minds. It’s time we had dialogue, unconditional dialogue. We are nationalists dear colleagues, these are times when we should put all our differences aside and work for the common good. If others are putting conditions, they can be left behind and let those that are willing, who are the majority anyway, convene and find solutions to problems that are affecting us as a country. This is not time to be talking about Governments of National Unit (GNU), those terms are used for failed states. And UPND will not be interested in such a government. The PF and UPND are sitting on opposite sides of the political ideology, how can someone even think of such a thing? For the record it is not UPND that mentioned such a thing and we are not interested. No one person is bigger than Zambia, dialogue should thus start immediately. As UPND we are not putting any conditions to any dialogue, all we are interested in is that the country must begin to talk. A talking country is a progressive country. 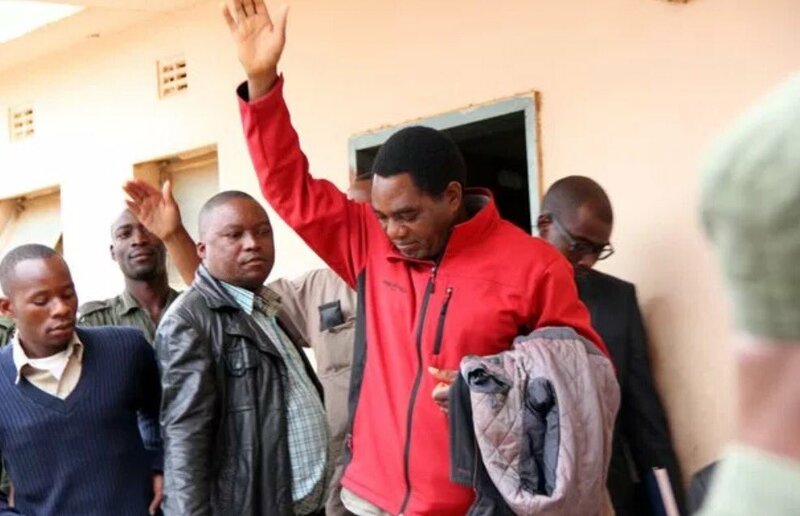 Colleagues, I leave it to you out there to actualize the dialogue with whoever is interested and UPND stands ready to lead the coalition of the willing if the Government is not interested.